Enter ‘Claustro’. I hit play with a hint of anxiousness. I’m willing it to be good so bad. There’s nothing worse than being less than enthused about a friend’s work when they ask “So….what do you think?”. Luckily, I get 5 seconds in and my socks are on the other side of the room. “Hang by the Neck until Dead” is an anger driven heavy rock/grunge affair. It has it’s roots firmly planted in the late 80’s Seattle grunge era, but with splashings of new wave of “math rock” to boot. I’ll be buggered if I know what time signature it’s in, I think it changes from verse to chorus, but it’s still packed with head bobble-ability. Neil’s back on main vocals this time, but this is a far departure from his previous musical outings, combining his rock tone with some screamo where appropriate, it suits the band’s remit well. The drumming hasn’t suffered in Neil’s absence, even though Neil is very competent with the sticks, new drummer Pauly Heron’s speed and finesse is actually better suited to this bands pace and style. The guitar and bass tones are shelved nicely and played with skill. Luke Walker’s guitar is riffing away in the treble department with a punch and Paul Murphy’s bass is deep but still has clarity. Claustro produce a well balanced and full sound for a 4 piece. The track is well composed and produced, the only thing I feel is missing is some backing vocals, but that’s a small observation on what is a very well accomplished, nut busting rock song. “Is that Lacist? I am Velly Solly” (aside from maybe being the greatest song title of all time) is the better of the 2 songs. It’s a choppier affair that offers slightly more diversity in it’s composition. Instruments drop in and out in to give the song a real feel of depth, which then makes the chorus feel so much more “beefy” when it eventually kicks in. Then there’s a minor – major switcheroo in the bridge which tiptoes around the realms of an emo rock ballad by “Brand New” with an inspired vocal change, before kicking in once again with that full fat rock riff. Lyrically, I don’t think it’s as strong as the previous track, but who cares? This is all about the ROCK! Sorry to draw on so many comparisons to previous outings guys, this is a band in it’s own rights after all, but there’s an obvious transition between the two, the good news is that it’s a good transition. A full album would be nice to see you guys really work. 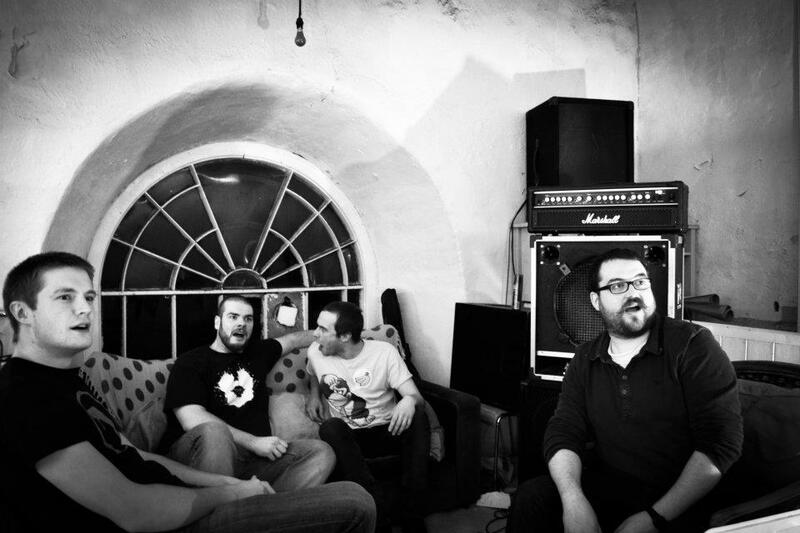 Formed in 2011, Claustro are Neil Parker-Guitar/Vocals, Pauly Heron-Drums, Luke Walker-Guitar and Paul Murphy-bass. Currently writing, recording, rehearsing and booking gigs we hope to be breaking amps and smashing cymbals in a venue near you soon. Do you agree with this review? please feel free to use our comment section below and let us know what you think of the music. The post Claustro – Claustro EP (EP) appeared first on MakoMusic.